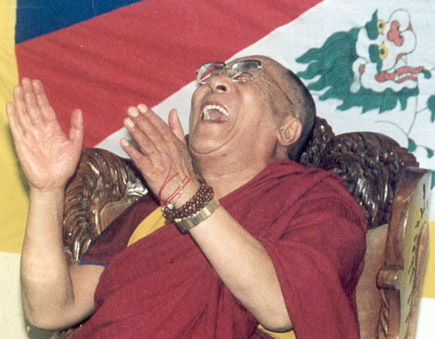 Tibetians traditionally believe the Dalai Lama to be the reincarnation of his predecessors. He was proclaimed the 'tulku' or rebirth of the 13th Dalail Lama at the age of two. In 1950 the army of the People's Republic of China invaded the region. 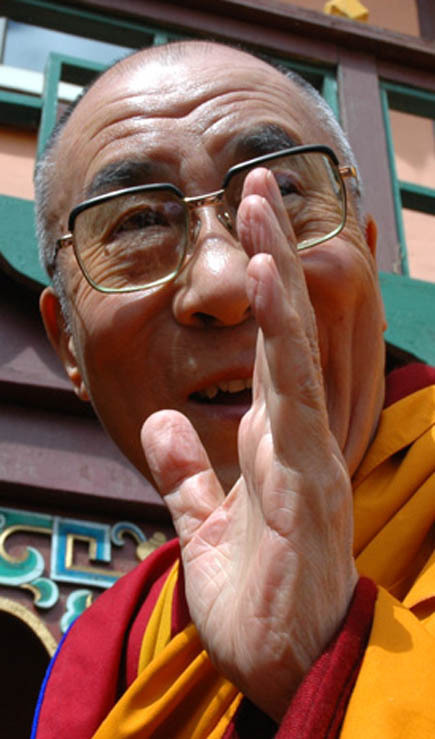 One month later, on 17 November 1950, he was enthroned formally as Dalai Lama, becoming the region's most important spiritual leader and political ruler at the age of fifteen. 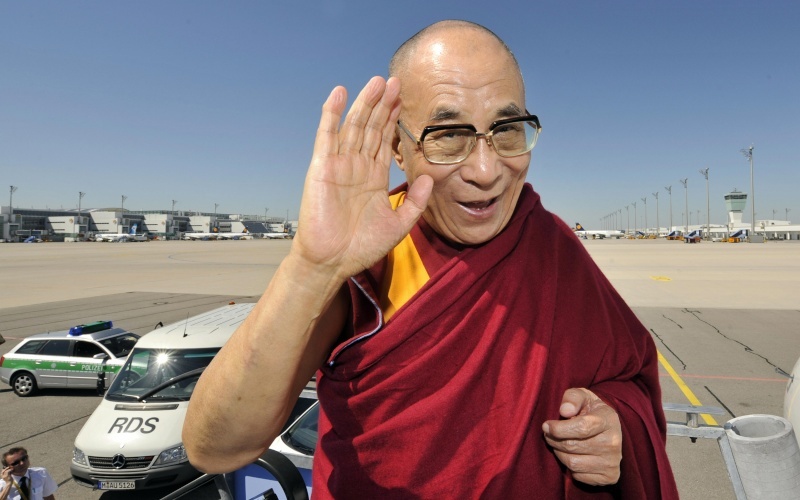 The Dalai Lama is now the head of the 'Tibetian government in exile' - based in India. The most remarkable characteristic of Ganhi's hand is probably is probably the unusual starting point of the ‘sun line’ (a.k.a. the ‘apollo line’ or 'fourth finger line'). His right hands displays two strong sun lines - both starting in the palmar zone below the heartline + pinky finger (at the ulnar side of the palm). 4. Perfect balance of realism and vivid imagination as indicated by head line! 5. Surprisingly narrow quadrangle (how curious!). What amazes me is how someone like him who really did not have to "do anything" (based on his title) has such a developed hand (refer to my dimensions post). Sorry, in interest of time, I can't detail what 1-4 means. If you do have questions, please feel free to ask. I could see the indication of penance from this hand. Hence, hand of sage or saint(in asian cultural terms). 1. Very prominent indication is that presence of star mark in the logic phalanges of thumb. Indeed, it is strict rule to have. Otherwise, The person can be fraud like indulging through masturbation or secret relationship. who mostly leaves the society, family and going for permanent penance by leading saint's life. They can never self-advertise themself. They neither expect fame nor preach . They surrender to the cosmic bond. 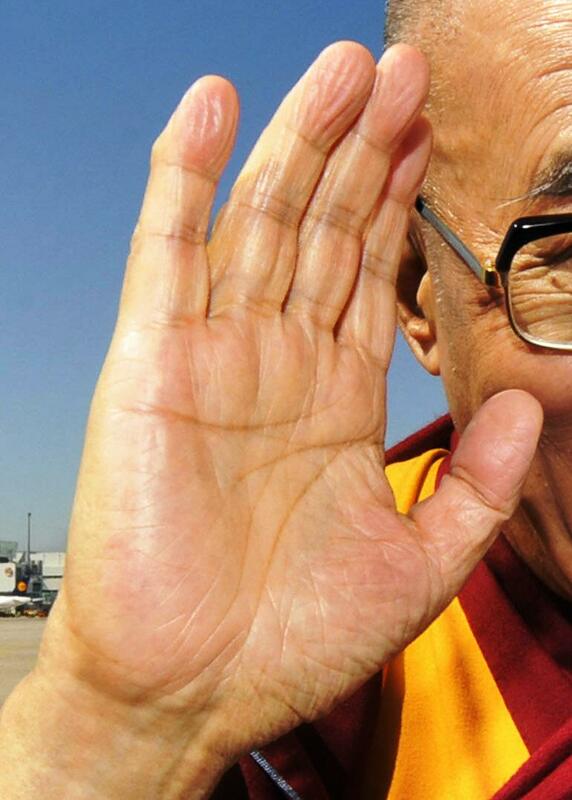 although it doesn't look this way in the picture, his hands are said to be very thick, according to a friend of mine who's shaken the Dalai Lama's hand. He told me HHDL's thumb ball felt really thick and firm. 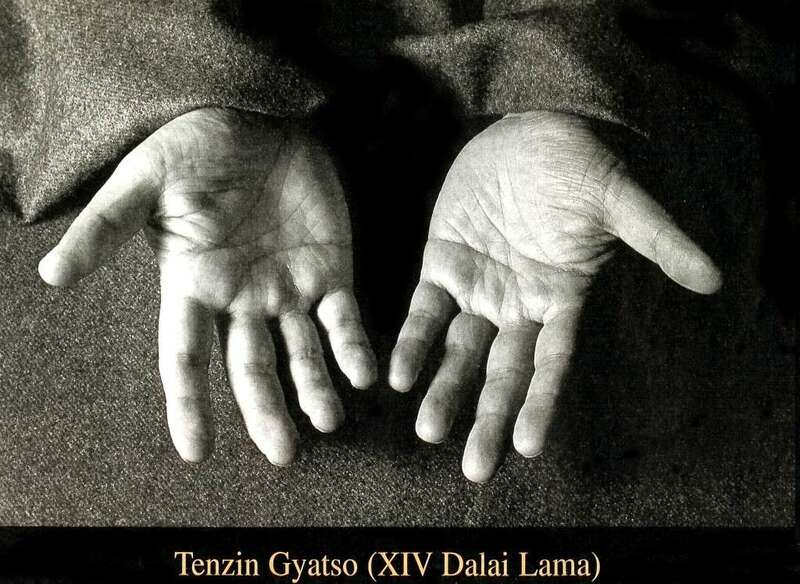 I think most photos indicate that the Dalai Lama's hands are quite firm (thick fingers and his palm is rather fleshy), so I would say that this confirms your friend's experience. I think the sun lines must be very significant. On reading the people mentioned who have these I think it might show a pre-destined,fulfilling life through devotion. The exception is Barrack Obama, who I think missed his true calling and should have been a religious preacher. 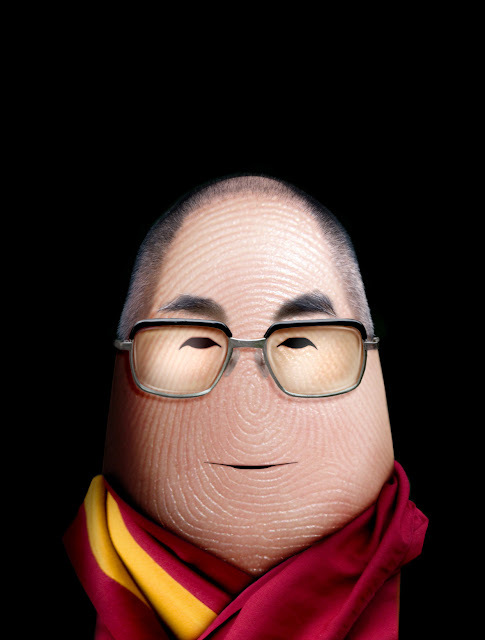 Ditology fingerprint art, including the Dalai Lama + many other celebrities!